Sometimes when you have queries, you asked "How did you do it?" But there are times you may forget (or just don't want to because you're not really acquainted with that person) to ask another question as important as the How question, "Why are you doing this?" 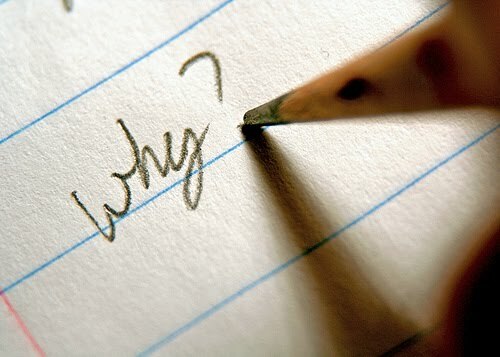 You choose to ask Why, you live your life with new knowledge. You choose not to, life still goes on. But who knows, someday you might be the one answering people's Why.